Dr Fahimeh Ramezani is a scholarly teaching fellow at the school of software in FEIT. Additionally, she is a core member of the Centre for Artificial Intelligence (CAI). 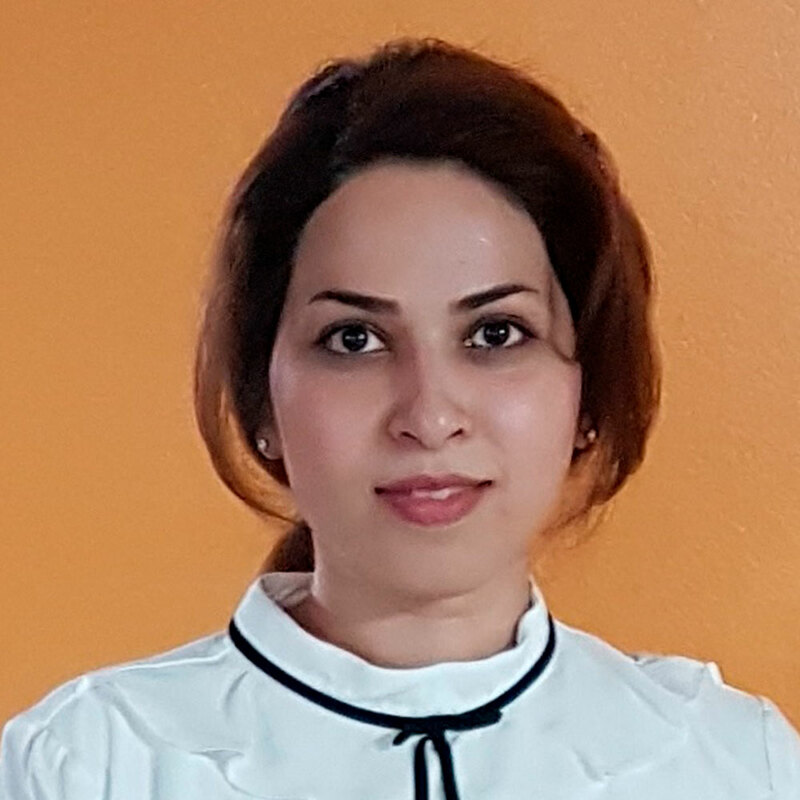 Fahimeh received her PhD degree from UTS, master of science degree in industrial engineering, and a bachelor of science degree in applied mathematics. Her research interests lie in the areas of cloud computing, decision support systems, and optimisation. Recently, Fahimeh's paper entitled "A Multi-Objective Load Balancing System for Cloud Environments" has received the “Computer Journal Wilkes Award 2018”. The Computer Journal is an ERA A* journal and the Wilkes Award is given once a year to the authors of the best paper published in the volumes of the journal from the previous year. It is based on originality, quality and treatment of the theme. Before joining UTS, Fahimeh was with Iran ministry of petroleum for 4 years. She worked as a senior expert in research and planning department. Prior to this, she worked as a researcher at the research and planning centre of Mellat bank, Tehran, Iran. Live virtual machine (VM) migration is a technique for achieving system load balancing in a cloud environment by transferring an active VM from one physical host to another. This technique has been proposed to reduce the downtime for migrating overloaded VMs, but it is still time- and cost-consuming, and a large amount of memory is involved in the migration process. To overcome these drawbacks, we propose a Task-based System Load Balancing method using Particle Swarm Optimization (TBSLB-PSO) that achieves system load balancing by only transferring extra tasks from an overloaded VM instead of migrating the entire overloaded VM. We also design an optimization model to migrate these extra tasks to the new host VMs by applying Particle Swarm Optimization (PSO). To evaluate the proposed method, we extend the cloud simulator (Cloudsim) package and use PSO as its task scheduling model. The simulation results show that the proposed TBSLB-PSO method significantly reduces the time taken for the load balancing process compared to traditional load balancing approaches. Furthermore, in our proposed approach the overloaded VMs will not be paused during the migration process, and there is no need to use the VM pre-copy process. Therefore, the TBSLB-PSO method will eliminate VM downtime and the risk of losing the last activity performed by a customer, and will increase the Quality of Service (QoS) experienced by cloud customers. Due to the dynamic nature of cloud environments, the workload of virtual machines (VMs) fluctuates leading to imbalanced loads and utilization of virtual and physical cloud resources. It is, therefore, essential that cloud providers accurately forecast VM performance and resource utilization so they can appropriately manage their assets to deliver better quality cloud services on demand. Current workload and resource prediction methods forecast the workload or CPU utilization pattern of the given web-based applications based on their historical data. This gives cloud providers an indication of the required number of resources (VMs or CPUs) for these applications to optimize resource allocation for software as a service (SaaS) or platform as a service (PaaS), reducing their service costs. However, historical data cannot be used as the only data source for VM workload predictions as it may not be available in every situation. Nor can historical data provide information about sudden and unexpected peaks in user demand. To solve these issues, we have developed a fuzzy workload prediction method that monitors both historical and current VM CPU utilization and workload to predict VMs that are likely to be performing poorly. This model can also predict the utilization of physical machine (PM) resources for virtual resource discovery. Modern cloud computing environments exploit virtualization for efficient resource management to reduce computational cost and energy budget. Virtual machine (VM) migration is a technique that enables flexible resource allocation and increases the computation power and communication capability within cloud data centers. VM migration helps cloud providers to successfully achieve various resource management objectives such as load balancing, power management, fault tolerance, and system maintenance. However, the VM migration process can affect the performance of applications unless it is supported by smart optimization methods. This paper presents a multi-objective optimization model to address this issue. The objectives are to minimize power consumption, maximize resource utilization (or minimize idle resources), and minimize VM transfer time. Fuzzy particle swarm optimization (PSO), which improves the efficiency of conventional PSO by using fuzzy logic systems, is relied upon to solve the optimization problem. The model is implemented in a cloud simulator to investigate its performance, and the results verify the performance improvement of the proposed model. The success of cloud services depends critically on the effective management of virtualized resources. This paper aims to design and implement a decision support method to handle uncertainties in resource management from the cloud provider perspective that enables underlying complexity, automates resource provisioning and controls client-perceived quality of service. The paper includes a probabilistic decision making module that relies upon a fuzzy Bayesian network to determine the current situation status of a cloud infrastructure, including physical and virtual machines, and predicts the near future state, that will help the hypervisor to migrate or expand the VMs to reduce execution time and meet quality of service requirements. First, the framework of resource management is presented. Second, the decision making module is developed. Lastly, a series of experiments to investigate the performance of the proposed module is implemented. Experiments reveal the efficiency of the module prototype. Live virtual machine (VM) migration is a technique for transferring an active VM from one physical host to another without disrupting the VM. This technique has been proposed to reduce the downtime for migrated overload VMs. As VMs migration takes much more times and cost in comparison with tasks migration, this study develops a novel approach to confront with the problem of overload VM and achieving system load balancing, by assigning the arrival task to another similar VM in a cloud environment. In addition, we propose a multi-objective optimization model to migrate these tasks to a new VM host applying multi-objective genetic algorithm (MOGA). In the proposed approach, there is no need to pause VM during migration time. In addition, as contrast to tasks migration, VM live migration takes longer to complete and needs more idle capacity in host physical machine (PM), the proposed approach will significantly reduce time, downtime memory, and cost consumption. Cloud computing is a new paradigm for hosting and delivering services on demand over the internet where users access services. It is an example of an ultimately virtualized system, and a natural evolution for data centers that employ automated systems management, workload balancing, and virtualization technologies. Live virtual machine (VM) migration is a technique to achieve load balancing in cloud environment by transferring an active overload VM from one physical host to another one without disrupting the VM. In this study, to eliminate whole VM migration in load balancing process, we propose a Fuzzy Predictable Load Balancing (FPLB) approach which confronts with the problem of overload VM, by assigning the extra tasks from overloaded VM to another similar VM instead of whole VM migration. In addition, we propose a Fuzzy Prediction Method (FPM) to predict VMs migration time. This approach also contains a multi-objective optimization model to migrate these tasks to a new VM host. In proposed FPLB approach there is no need to pause VM during migration time. Furthermore, considering this fact that VM live migration contrast to tasks migration takes longer to complete and needs more idle capacity in host physical machine (PM), the proposed approach will significantly reduce time, idle memory and cost consumption. Cloud computing is a large-scale distributed computing paradigm driven by economies of scale, in which a pool of abstracted, virtualized, dynamically-scalable, managed computing power, storage, platforms, and services are delivered on demand to external customers over the Internet. Although a significant amount of studies have been developed to optimize resource management and task scheduling in cloud computing, none of them considered the impact of task scheduling patterns on resource management and vice versa. To overcome this drawback, and considering the lack of resources in cloud environments and growing customer demands for cloud services, this paper proposes an Online Resource Management Decision Support System (ORMDSS) that addresses both tasks scheduling and resource management optimization in a unique system. In addition, ORMDSS contains a fuzzy prediction method for predicting VM workload patterns and VM migration time by applying neural networks and fuzzy expert systems. This ORMDSS helps cloud providers to automatically allocate scare resources to the applications and services in an optimal way. It is expected that the ORMDSS not only increases cloud utilization and QoS, but also decreases cost and response time. In any organization there are some main goals and lots of projects for achieving these goals. For any organization, it is important to determine how much these projects affect on achieving the main goals. This paper proposes a new fuzzy multiple attribute-based decision support system (DSS) for evaluating projects in promoting the goals as such a selection may involve both quantitative and qualitative assessment attributes. In addition the proposed DSS has ability to choose the most appropriate fuzzy ranking method for solving given MADM problem. Also it contains sensitivity analysis system which provides opportunity for analyzing the impacts of attributesâ weights and project sâ performance on achieving organizationsâ goals, and assess the reliability of the decision making process. The proposed DSS can be applied for solving every FMADM problem which needs to rank some alternatives according to some attributes. In any organization there are some main goals and lots of projects for achieving these goals. For any organization, it is important to determine how much these projects affect on achieving the main goals. This paper proposes a new fuzzy multiple attribute-based decision support system (DSS) for evaluating projects in promoting the goals as such a selection may involve both quantitative and qualitative assessment attributes. There are many fuzzy ranking methods available to solve multi-attribute decision making (MADM) problems. Some are more suitable than other for particular decision problems. The proposed DSS has ability to choose the most appropriate fuzzy ranking method for solving given MADM problem. In addition it contains sensitivity analysis system which provides opportunity for analyzing the impacts of attributes weights and projects performance on achieving organizations goals. A DSS software prototype has been developed on the basis of the proposed DSS which can be applied for solving every FMADM problem which needs to rank some alternatives according to some attributes. In any organization, because of the importance of management responsibility and its effect on efficiency improvement, the selection of the appropriate person as a manager is one of the important decision making subjects. This paper proposes a new fuzzy multiple attribute-based decision support system (DSS) for choosing suitable managers as such a selection may involve both quantitative and qualitative assessment attributes. There are many fuzzy ranking methods available to solve multi-attribute decision making (MADM) problems. Some are more suitable than other for particular decision problems. The proposed DSS has ability to choose the most appropriate fuzzy ranking method for solving given MADM problem, based on the type of attributes and the size of the problem, considering the least computation and time consumption for ranking alternatives. A DSS software prototype has been developed on the basis of the proposed DSS which can be applied for solving every FMADM problem which needs to rank some alternatives according to some attributes. There are many fuzzy ranking algorithms available to solve multi-attribute decision making (MADM) problems. Some are more suitable than others for particular decision problems. This paper proposes a new method for choosing the most appropriate fuzzy ranking algorithm for solving MADM problems based on the type and number of attributes and the number of alternatives, considering the least time consumption and the least computation for ranking alternatives. In addition, we develop a software to simulate three main fuzzy ranking algorithms: SAW, Negi, and Chen and Hwang (Chen and Hwang 1992). This software can be used in any MADM decision support system.